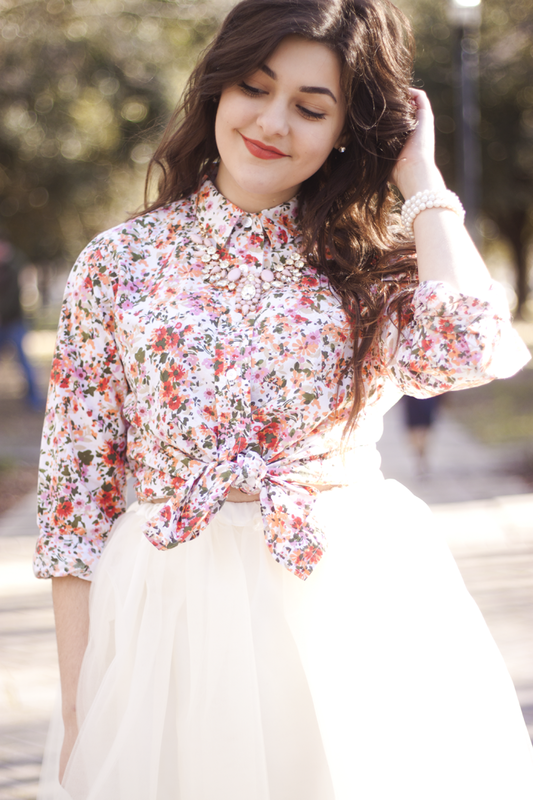 Wearing: Thrifted blouse, Kellie Falconer Design skirt (buy here! ), Boohoo heels. This warm sunny weather we've been having is making me put winter in the past, and start dressing for spring! I'm really loving light, airy, girly outfits, like this little floral and tulle ensemble I put together today, and I already have so many other ideas for this ivory tulle skirt by Kellie Falconer Design for Spring...it's honestly the perfect piece for the season! Hope you all are getting these wonderful Spring vibes as well, because this winter has just been too harsh (even in Florida)! This outfit is simply beautiful! 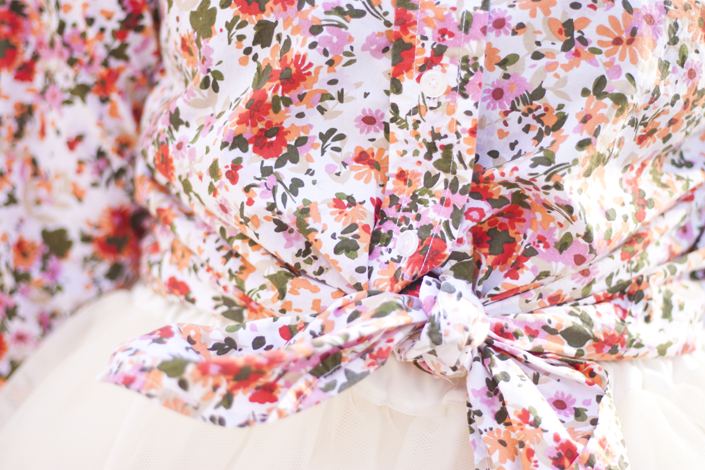 Love the colors of the blouse especially with the tulle skirt... 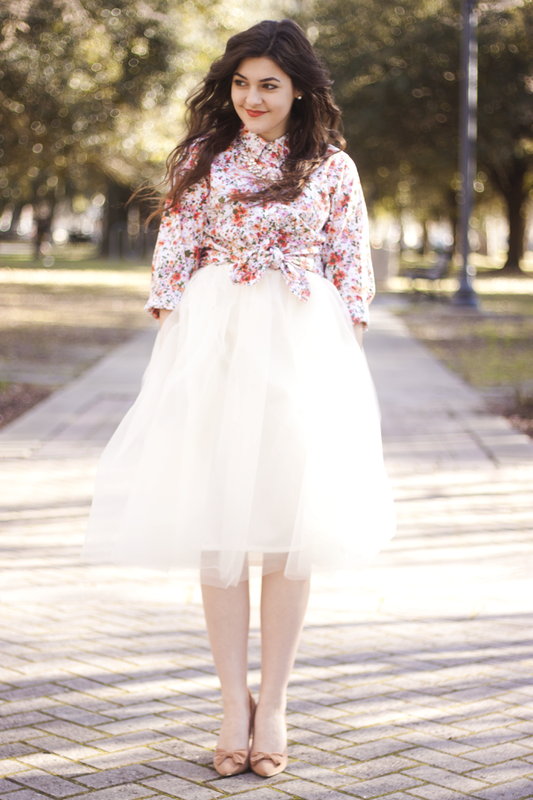 The white tones down the color and then the casual shirt tones down the tulle! I love it! I especially love that lip color on you! What brand is it? P.S. I was flipping through my Teen Vogue a couple issues ago (i forget which one) and I saw you! I literally shrieked, hahahha. Such a beautiful Spring look, Carly! If only Spring would arrive here in Canada. We're still sitting in a foot of snow!